Summary: The perfect play pillow for kids who love pillows and stuffed animals! Happy Nappers are the newest toy sensation that is taking over this year! It's similar to the super-popular pillow pets but these are a bit different. 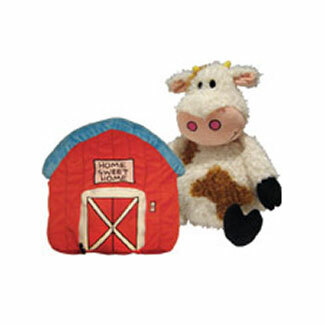 Not only are these stuffed animals, they're also able to convert into a “home” for the stuffed animals. It adds a great addition to your kids' toy. Think of it as a reversible stuffed animals. There are currently 6 different choices to choose from that we're sure your kid will find one they love. You can get the barn to cow, castle to dragon, bungalow to ladybug, igloo to penguin, doghouse to dog and place to unicorn. You can currently purchase the Happy Napper for the lowest price online of $19.99 plus shipping and handling. If you buy 2, the 2nd Happy Napper is only $16.99. If you can find a great reason for 6 Happy Nappers, you'll get all 6 for free shipping.